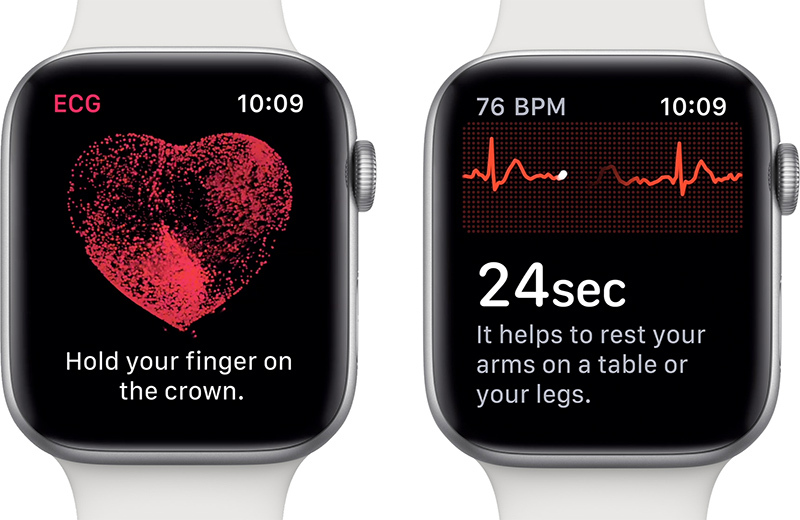 It's unclear when the ECG app will expand to additional countries, but Apple Watch Series 4 models sold internationally do have the necessary electrical heart sensor. Apple is likely in the process of gaining clearance for the ECG app in other countries, but it has yet to comment on wider availability. Nothing to do with Tim. Selling an unapproved medical device is a serious crime in nearly all countries. For example, an unlimited fine and 6 months jail in the UK. I love how the ********s waited with releasing this information so people who bought on release day cannot return the watch. I bet you'll need to buy a new shiny ECG enabled model if you want the feature after it's approved by your country too. This is a bunch of *********. They said during the keynote that this functionality would be US-only until other approvals roll in. Once those approvals happen, there's no reason at all to think that they won't be able to enable the functionality just exactly as they did for the US today. Pay for something you cannot use even if you moved to the US because your watch was purchased elsewhere. Ridiculous. Doesn’t make sense. "That's not the case with the the ECG app on the Apple Watch Series 4, though, as it only functions on models purchased in the United States"
So this begs the question: can I just buy a series 4 while in the U.S. (I'm Canada based), bring it home and enjoy the feature? We used to do this with the original iPhone before Canada got them and have done so with lots of tech stuff in the past. If the unit itself is a U.S. model and I set my region to the U.S., which I have already done to get the Apple News App, will I be able to use the ECG feature? Might have to investigate this one with a trip south! The advertising was pretty clear that this was only going to be available in the USA. They cannot change the health laws of other countries. That's really a pity, what's the point that I got an ECG built-in Apple Watch 4? I'm from UK. They were pretty clear it would be US only for the time being when they announced it. You can't just willy nilly sell something that performs ECG functionality because you feel like it. Looks like they had to do a lot of work for this to even be advertised as such in the US. Plus it's the first over the counter device of its kind that can do an ECG. Apple marketing: This is a US feature only. Macrumors readers: OMG THEY TRICKED US!!! That's really a pity, what's the point that I got an ECG built-in Apple Watch 4? BTW I'm from the UK.